We launched a new ultimate E-Commerce service for online merchants. Increasing sales has never been so easy! Read how we can help you with that. Summary: Semalt makes the benefits of professional keyword ranking analytics available even for the entry-level users. In late 2013 Semalt.com – a professional keyword ranking monitoring service - was officially launched. It allows the users to get advanced analytics data about websites based on the Google search engine result pages (SERPs) analysis. 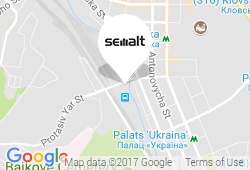 Semalt enters the SEO service market with the unique offer providing each authorized user 7 trial days to track their website(s) positions up to 20,000 keywords daily. As soon as the trial period expires one can get the lifetime free plan with 50 keywords daily.